These terms and conditions form part of our Terms of Service, , and their acceptance is a prerequisite to account registration. Any capitalized terms used herein which are not defined shall take their meaning from the Terms of Service. All player bonuses offers are strictly limited to one per person, family, household address, email address, telephone number, identical payment account number (e.g. debit or credit card), linked NETeller or Skrill accounts, mobile device (mobile or tablet), application download or shared computer (by way of example only: public library, internet cafe or workplace). All Winnings.com's offers and bonuses are intended for recreational players only, accordingly, any activity which unfairly exploits or manipulates one or more bonuses or promotions offered by Winnings.com, is strictly forbidden. A list of the activities which fall within these prohibited types of play is set out below: common betting patterns across identical events; markets or selections that could be identified in one or across several accounts; placing bets on all likely outcomes of an event or any other apparent relation between players; which results in guaranteed player profits irrespective of the outcome (“Prohibited Play”). In case where a player or a group of players engage(s) in Prohibited Play in respect of a promotion, Winnings.com may, in its sole discretion: (i) limit the eligibility of those player(s) to participate in the relevant promotion; (ii) amend the terms of any bonus or offer; (iii) cancel and forfeit that player's or that group of players' offer, bonus eligibility, bonus amount and any associated bonus winnings at any time in respect of that promotion; (iv) settle bets at the correct odds; [and/or] (v) charge an administration cost on the player up to the value of the deposit bonus, free bet, risk free bet or additional payment to cover administrative costs incurred by Winnings.com with respect to any breach of these Sports Bonus Terms to a reasonable level. Where Winnings.com has taken a decision that a player is to lose an entitlement to any bonus or bonus winnings following any Prohibited Play, Winnings.com shall provide the player with an explanation of the relevant Prohibited Play in which the player has been engaged. Offers and bonuses are valid only to players who have deposited into their active player account with the Website more than $10. These Bonus Terms were prepared in English. If there are any inconsistencies in any translated version, the English version shall prevail. 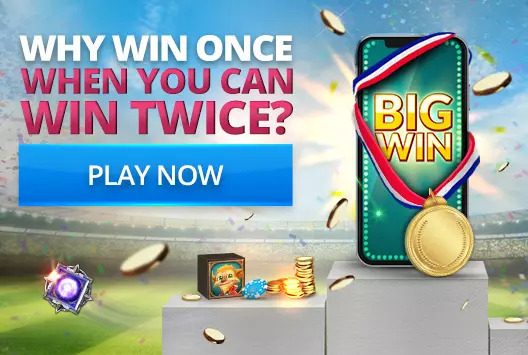 Winnings.com may, from time to time, offer promotions and/or competitions which are governed by separate terms and conditions. Any promotions, bonuses or special gifts credited to your account must be used in adherence with such terms and conditions. Winnings.com may cancel, amend or modify any promotion, competition, bonus or special offer by publishing the amended or modified terms or notice of cancellation on the relevant internet page of the promotion, competition or special offer. Such amendment, modification or cancellation shall take effect following the expiry of a period of 14 days of such publication, or with immediate effect, where required for security reasons, to comply with applicable law or regulation, due to abuse or otherwise where the promotion, competition or special offer is not capable of being conducted as specified as a result of exceptional circumstances. Winnings.com Welcome Bonus - 100% bonus on your first deposit up to $200 Unless otherwise stated. This bonus only applies for deposits of $10 or higher! All you need to do is just deposit the money in your Winnings.com account and you will receive this bonus instantly! Deposit $30 get $30 free, play with $60. Deposit $60 get $60 free, play with $120. The "Welcome bonus" is limited to one bonus per household. Aspire Global operates a number of casino brands ("Aspire Global's brands") and reserves the right to limit the number of Welcome Bonuses that may be taken up by a player across Aspire Global's brands in the following way. By claiming this welcome bonus offer at Winnings.com , you are prohibited from claiming a welcome bonus at other Aspire Global's brands. Any attempt to try to deceive management by registering multiple accounts within Aspire Global's brands in order to gain bonus money, may be deemed as bonus abuse and may result in the account(s) being suspended and the removal of your funds. For list of Aspire Global's brands click here. The "Welcome bonus" may not be used in conjunction with any other bonus, promotion or offer. The "Welcome bonus" must be wagered at Winnings.com within 21 days of being credited to your account. Winnings.com reserves the right, at any time, to revoke any welcome bonus not used within the allotted time period. Please note that in the interests of fair gaming, we require you to have wagered a minimum of 35 times the sum of your welcome bonus before cashing out any winnings. Deposit $30 get $30 free, wager is $1,050 to cash out. Deposit $60 get $60 free, wager is $2,100 to cash out. Deposit $90 get $90 free, wager is $3,150 to cash out. For bonus that is given before you make your first deposit on the site, the wagers you place will not count towards the number of times you need to wager the received bonus until you have executed and we have received a deposit from you to your account. Unless stated otherwise by Winnings.com, the non-deposit bonus is available to new players only (players who have not received this bonus before). Our welcome bonus is automatic. However, there are various reasons for not receiving it and you may need to personally request it. If you have not received your automatic welcome bonus after making an approved deposit, please contact our support team. This can be done online while you are playing (click the "online support" button), or by emailing . Just remember to state your username. All free games credited to a player's account must be used within 1 day from when the offer was granted. Unused free spins will be removed from the account thereafter. Free games are considered as a bonus and must be wagered before any winnings can be cashed out. The free games bonus is calculated as the total value of the winnings received through the use of the free spins. The total value of such credit shall be subject to the wagering requirements set out below. Any and all free games bonus(es) shall be subject to the standard bonus policy detailed hereby. Players, who initiate a deposit in order to receive free spins as part of a deposit offer, MUST wager their deposit amount before initiating a withdrawal. Players who withdraw their deposit without wagering will lose the free spins earned from the deposit or if used, any winnings earned from the free spins. Only for brands that have welcome offer upon deposit. All of Winnings.com's bonuses and winnings may only be cashed out after you have made at least one approved deposit and you have wagered at least 35 times (unless stated otherwise) of each bonus received – for example you must wager $350 before cashing out if you have received a bonus of $10. For all bonuses that require a deposit the wagers you place will not count towards the number of times you need to wager the received bonus until you have executed and we have received a deposit from you to your account. Bets placed on all versions of the following games will not count towards your wagering requirements: All Video Poker games, All Roulette games, All Quick Play games, All Blackjack games, All Rush games, Hi Lo Fever, All Baccarat games, 3 Card Poker, Blood Suckers, Jackpot 6000, Keno, Big Bang, Blood Suckers, The Wish Master, Dead or Alive, Lucky Angler, Jack Hammer 2, Cloud Quest, Tower Quest, Pearls of India, Treasure Island, Mega Moolah. If the player placed bets on any of the games mentioned above before the wagering requirements for the bonus have been met, we reserve the right to withhold any amount in excess of a player’s original deposit from a player’s withdrawal. When a bet abuses the betting system – regardless of which game it was placed on – it will not count towards a player’s wagering requirements. If the player placed single bets equal to or greater than $4 or $0.50 per line, or 15 percent of the bonus amount before the wagering requirements for the bonus have been met, we reserve the right to withhold any amount in excess of the player’s original deposit from a player’s withdrawal. In addition, if a player deposited with Skrill or Neteller and placed single bets equal to or greater than $2.50 of the bonus amount before the wagering requirements for the bonus have been met, we reserve the right to withhold any amount in excess of the player’s original deposit from a player’s withdrawal. The use of bonus funds purely to progress through the bonus stages is prohibited. This includes but is not limited to games such as The Wish Master, Cloud Quest, Tower Quest, Pearls of India - can result in the winnings being voided. For example (but not limited to), playing Netent’s “The Wish Master” with an active Bonus, activating 3 “wishes” to then leave the game and come back and collect the feature payout once the Bonus is gone. All daily bonuses are subject to a $200 maximum unless otherwise stated. Unless stated otherwise, this bonus only applies the 1st deposit made by a player on a single day. Cash back bonuses are a percentage of house winning paid to a player. Cash back bonuses are only paid once a promotion has ended. Cash back bonuses that require a deposit, are paid up to the total of deposits made, and cannot exceed $200. Cash back bonuses that do not require a deposit, cannot exceed $200. If a bonus code is not entered during the required deposit transaction, the player will not be eligible for the bonus associated with that bonus code. Unless stated otherwise, all promotions run for 24hrs (7am -7am GMT). Additional Bonuses are issued in good faith by Winnings.com as an incentive for players, or as a token of appreciation for returning players who have continually shown their patronage. They are only intended for players who use the Winnings.com website for fun or entertainment purposes and will be denied, declined, or retracted from players who abuse the spirit of this offer. Further requirements may be set, according to the type of bonuses. Game winnings from “free spin” or “bonus” features initiated with bonus funds but completed after the bonus has been wagered, lost or forfeited will be removed. No promotional or other type of bonus will be issued or allowed once money has been cashed out and is in the players pending account. This will remain until that cashout has been either approved or cancelled and the pending account has a zero balance. The aforementioned clause will also apply should there still be an available balance in the player’s active Winnings.com account. Other requirements may be set, according to the type of bonuses. All bonuses and any money won from that bonus will be erased from the players account after 21 days of inactivity. This only applies to players with a remaining bonus balance. Winnings.com reserves the right to remove prize credits from the accounts, or deny a cashout request, of any players who fail to comply with any of the above conditions. In the event of a dispute, Winnings.com's decision is final and not subject to appeal. We may offer bonuses and special offers from time to time (which are subject to this Bonus Policy, the Terms of Service, and any promotion-specific terms and conditions made available to you (“Promotion Terms”). In the event of a conflict between the terms set in the Bonus Policy, the Terms of Service and/or the Promotion Terms, the following order of priority shall apply: (i) Promotion Terms; (ii) Bonus Policy; (iii) Terms of Service. All bonuses offers are strictly limited to one: (i) per person; (ii) per household address; (iii) email address; (iv) telephone number, (v) identical payment account number (e.g. debit or credit card) or linked NETeller or Skrill accounts; (vi) per IP address; (vii) computer (viii) mobile device (mobile or tablet); (ix) e-payment account; (x) application download and/or shared computer (by way of example only: public library, internet cafe or workplace). Bets placed on any roulette game will not count towards your wagering requirement for your casino bonus. You will only be able to participate in any special offers and/or bonuses offered by us if you have deposited at least $10 of real money into your player account. We may cancel, amend or modify any promotion, competition, bonus or special offer by publishing the amended or modified terms or notice of cancellation on the relevant internet page of the promotion, competition or special offer. Such amendment, modification or cancellation shall take effect following the expiry of a period of 14 days of such publication, or with immediate effect, where required for security reasons, to comply with applicable law or regulation, due to abuse or otherwise where the promotion, competition or special offer is not capable of being conducted as specified as a result of exceptional circumstances. except where the relevant players(s) has engaged in fraudulent or unlawful behaviour or where the amendment, modification or cancellation of the promotion is required to enable us to comply with our legal and/or regulatory obligations. except where we are required to prevent such withdrawal of funds in order to comply with legal and regulatory obligations (including anti-money laundering requirements). Welcome Bonus - 100% bonus on your first deposit up to $200 Unless otherwise stated. This bonus only applies for deposits of $10 or higher! All you need to do is just deposit the money in your Winnings.com account and you will receive this bonus! The "Welcome Bonus" is limited to one bonus per household. when you open new account, you have the option of not receiving the Winnings.com welcome bonus, by clicking 'later' at the end of registration process. When you choose the option of receiving the Winnings.com welcome bonus, you are subject to the bonus policy. You must not have previously deposited on this website. You must not have received any other welcome bonus from the website. We or members of our corporate group operate a number of casino websites ("Aspire Websites") and you will not be eligible to receive a Welcome Bonus, if you have received a welcome bonus on any other of the Aspire Websites. For a list of Aspire click here. The Welcome Bonus may not be used in conjunction with any other bonus, promotion or offer. The Welcome Bonus must fulfill the wagering requirements within 21 days of being credited to your player account, otherwise you shall forfeit the Welcome Bonus and any winnings generated by such bonus. As a result of technical reasons and/or our obligations under applicable law and/or regulation, you may not receive a Welcome Bonus and you may need to personally request it. If you have not received your automatic Welcome Bonus after making the required real money deposit, please contact our support team. This can be done online while you are playing (click the "online support" button), or by emailing us at . Just remember to state your username. All free spins credited to your player account must be used within 1 day from when the free spins are credited to your player account. Unused free spins will be removed from the player account thereafter. Winnings generated by the free spins are considered as a bonus and must be wagered before any winnings can be cashed out. The bonus generated by the free spins is calculated as the total value of the winnings received through the use of the free spins. Winnings generated by the free spins must be wagered 50 times before any winnings relating to such are cashed out. Unless otherwise stated in the Promotion Terms and/or in this Bonus Policy, any and all bonus(es) generated by the free spins shall be subject to the standard bonus policy detailed hereby. Free spins winnings are granted only after you have finished playing all of your free spins which generated such winnings. Winnings received through the use of a free spins shall not exceed $100. Any winnings generated by the free spins which exceeds the $100 maximum, shall be forfeited by you . Only the maximum winnings of $100 can be withdrawn by you subject to the terms specified in the Bonus Policy. Players, who must deposit real money funds in order to receive free spins as part of a deposit offer, MUST wager their deposit amount before initiating a withdrawal. Players who withdraw their deposit without wagering the deposit amount will lose the free spins generated from the relevant deposit or if used, any winnings earned from the free spins. Unless otherwise stated in this Bonus Policy, the Promotion Terms, competition or special offer, all bonuses and any winnings generated by such bonuses may only be cashed out after you have made at least one real money deposit and you have wagered at least 35 times the bonus received – for example you must wager $350 before cashing out if you have received a bonus of $10. Wagering on different casino games will contribute differently towards your wagering requirements. Please see here to find out how wagering on different casino games contributes to the wagering requirements. Only wagers made from your bonus balance, will contribute to the fulfillment of the wagering requirements. Deposits made to generate a bonus may be withdrawn before the wagering requirements have been fulfilled. However, if this occurs, the relevant bonus and its associated winnings will be removed from the player’s account. Players must contact support in order to withdraw their deposit which has generated the bonus. Winnings received through the use of a bonus where no deposit is required to generate such bonus shall not exceed $100. Any winnings which are made with such bonus which exceeds the $100 maximum, shall be forfeited by you. Only the maximum winnings of $100 can be withdrawn by you subject to the terms specified in the Bonus Policy. Winnings received through the use of the bonus, where no deposit is required to generate such bonus and as such must be wagered 50 times before any winnings relating to such are cashed out. When a bet abuses the betting system – regardless of which game it was placed on – it will not count towards a player’s wagering requirements. If the player placed single bets equal to or greater than $4 or $0.50 per line or 15 percent of the bonus amount before the wagering requirements for the bonus have been met, we reserve the right to withhold any amount in excess of the player’s original deposit from a player’s withdrawal. In addition, if a player deposited with Skrill or Neteller and placed single bets equal to or greater than $2.50 of the bonus amount before the wagering requirements for the bonus have been met, we reserve the right to withhold any amount in excess of the player’s original deposit from a player’s withdrawal. i) Daily Bonuses: All daily bonus winnings are capped at $200 maximum unless otherwise stated. (ii) Deposit Match Up Bonus: Unless stated otherwise, this bonus only applies the 1st deposit made by a player on a single day. Cash back bonuses are a percentage of house winnings which are then paid to a player. (iv) Bonus Codes:If a bonus code is not correctly entered during the required deposit (iv) transaction, you will not be eligible for the bonus associated with that bonus code. No promotional or other type of bonus will be issued or allowed once money has been cashed out and is in the players pending account. This will remain until that cash out has been either processed or cancelled and the pending account has a zero balance. The aforementioned clause will also apply should there still be an available balance in the player’s players account. You may at any time choose to remove all of you bonuses from your bonus balance. Please note: If you exchange your loyalty points to receive a bonus and you choose to remove such bonus from your bonus balance, such loyalty points will not be returned to you.